• The brewer needs to calibrated and connected to water & power supply. • Switch on the brewer and wait untill the water is heated (10 min). • Place 1 ice tea pouch into the cleaned brew basket. • Slide brew basket under brewing head. • Place clean tea dispenser under brew basket, open the tea dispenser lid and then start the start/brew button. • The brew cycle (3-4 min) will include the dilution feature (ice tea brewer automatically adds lukewarm water into the tea dispenser).Close the tea dispenser lid. 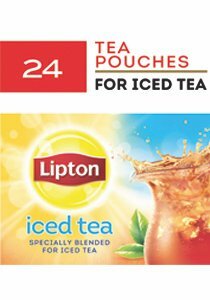 • (1 Ice tea pouch= 3.7 litres). • Create your own recipes with fresh ingredients; endless customizable options! Store in a cool, dry place away from detergents, soap and products with heavy fragrances.